Not affected by the migrants at Calais? “What food might this contain?” the mouse wondered. He was devastated to discover it was a mousetrap. 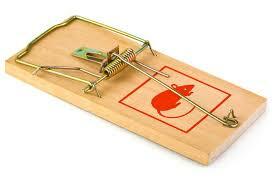 So, the mouse returned to the house, head down and dejected, to face the farmer’s mousetrap . . . alone. That very night a sound was heard throughout the house — the sound of a mousetrap catching its prey. The farmer’s wife rushed to see what was caught. In the darkness, she did not see it — a venomous snake whose tail was caught in the trap. The snake bit the farmer’s wife. The farmer rushed her to the hospital. When she returned home she still had a fever. Everyone knows you treat a fever with fresh chicken soup. But his wife’s sickness continued. Friends and neighbors came to sit with her around the clock. To feed them, the farmer butchered the pig. But, alas, the farmer’s wife did not get well. She died. So many people came for her funeral that the farmer had the cow slaughtered to provide enough meat for all of them for the funeral luncheon. And the mouse looked upon it all, from his crack in the wall, with great sadness. So, the next time you hear someone is facing a problem, and you think it doesn’t concern you, remember . . . Remember — each of us is a vital thread in another person’s tapestry. Our lives are woven together for a reason. One of the best things to hold onto in this world is a friend. Prayer: a ‘far away land’ or a place near to hand?